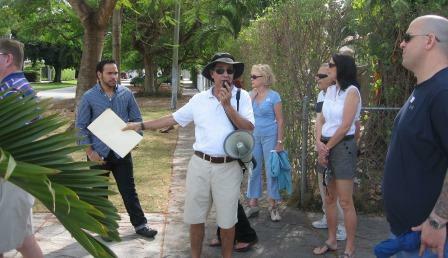 Stroll with historian Dr. Paul George through the shaded streets of one of Miami’s most delightful hidden neighborhoods – Spring Garden, on the north bank of the Miami River. See the house dubbed the Hindu Temple, and learn of its unique history in early films. See prime examples Miami’s early architecture.